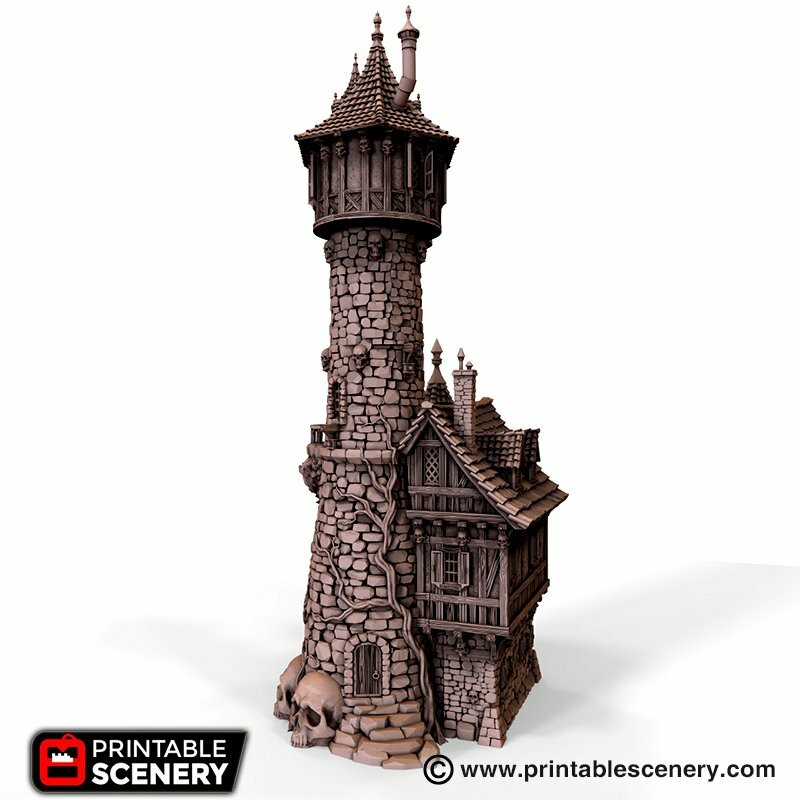 No-one dared go near the tower at the far end of town, but if they did, the massive skulls carved into its base and withered vines clawing their way up its sides helped encourage folk to keep their distance. 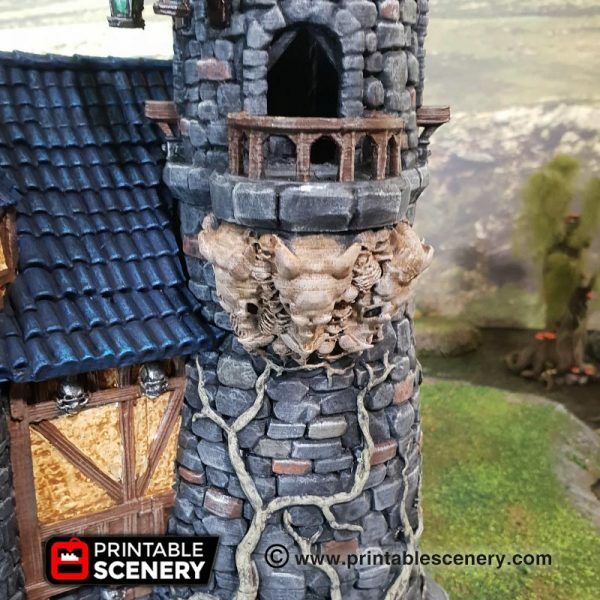 It was a place only spoken of in hushed whispers, whose occupier was never mentioned by name, for fear that he might bring ruin upon the speaker. 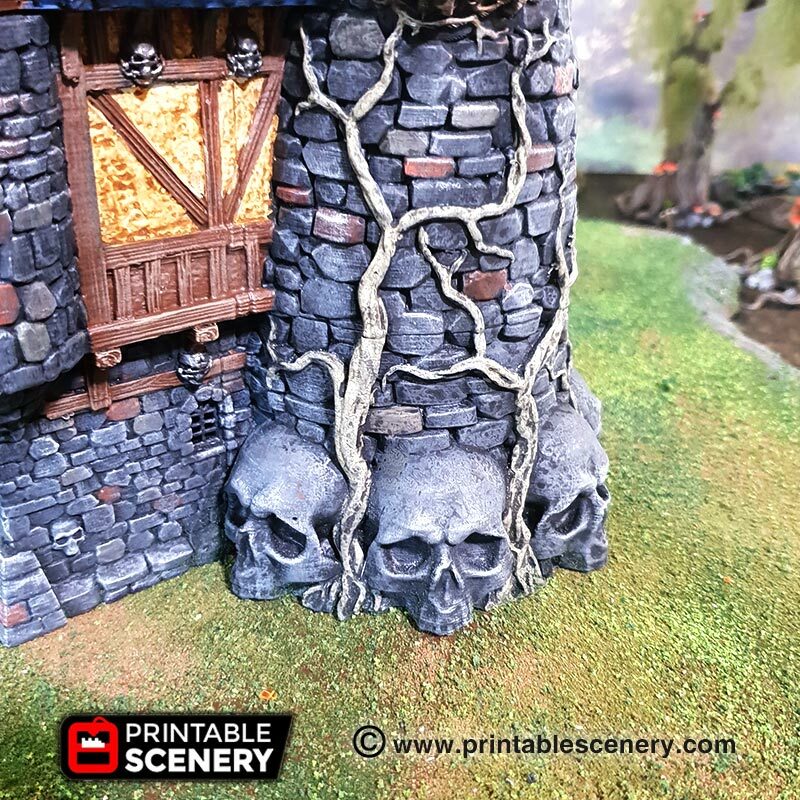 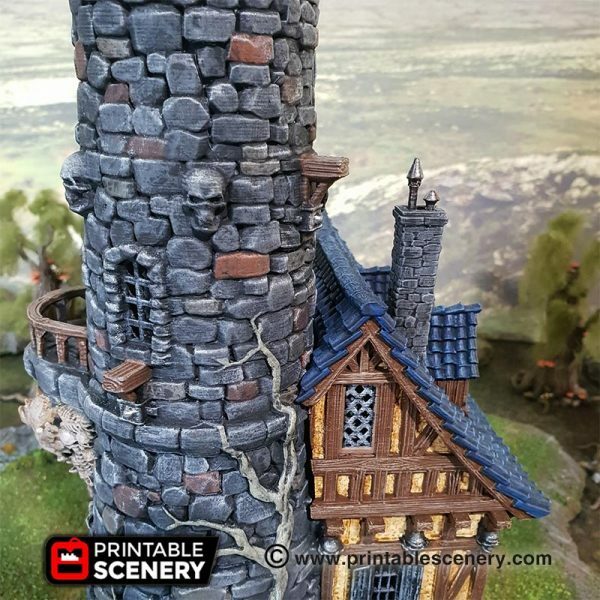 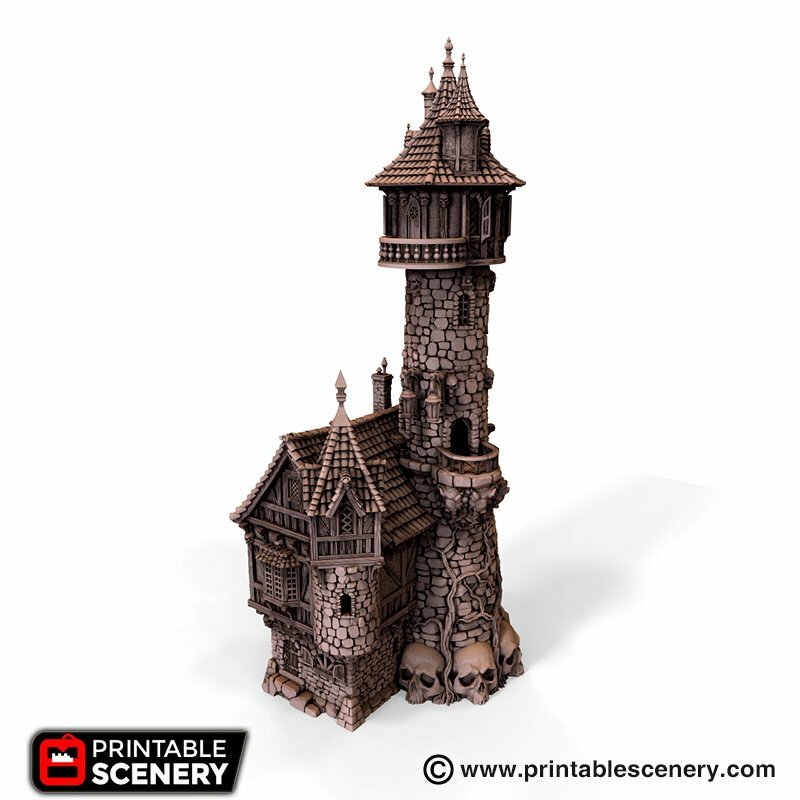 The Evil Sorcerer’s Tower is perfect as a centrepiece, for brooding and scheming over the city of Winterdale, or as a repository of macabre relics and nefarious traps to ensnare curious adventurers. 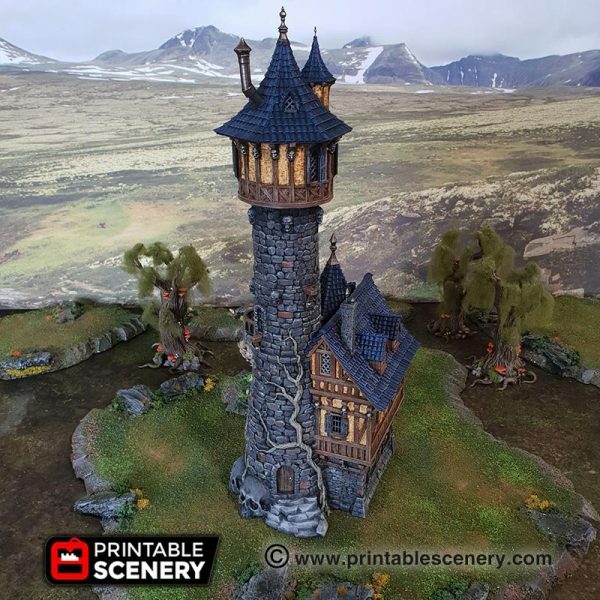 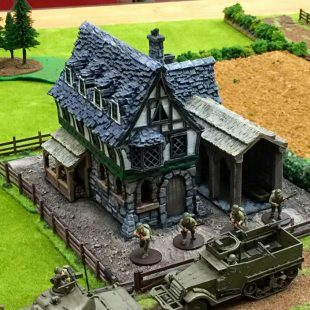 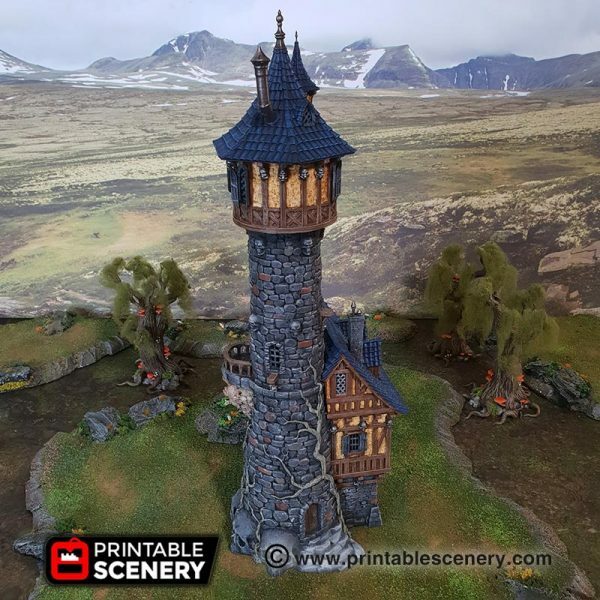 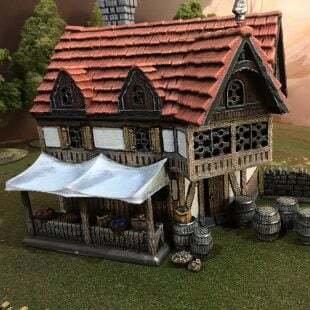 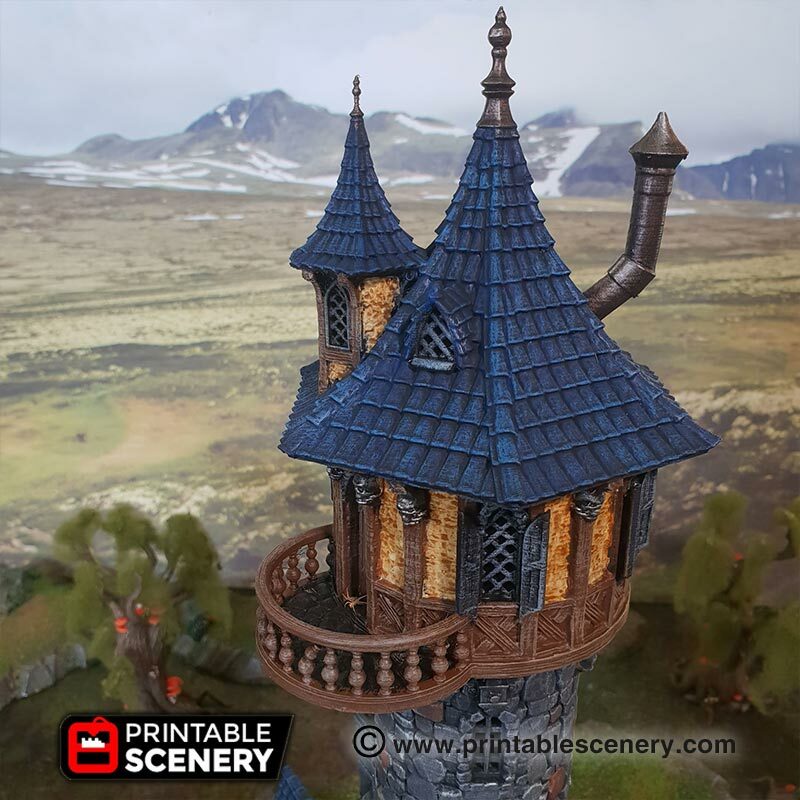 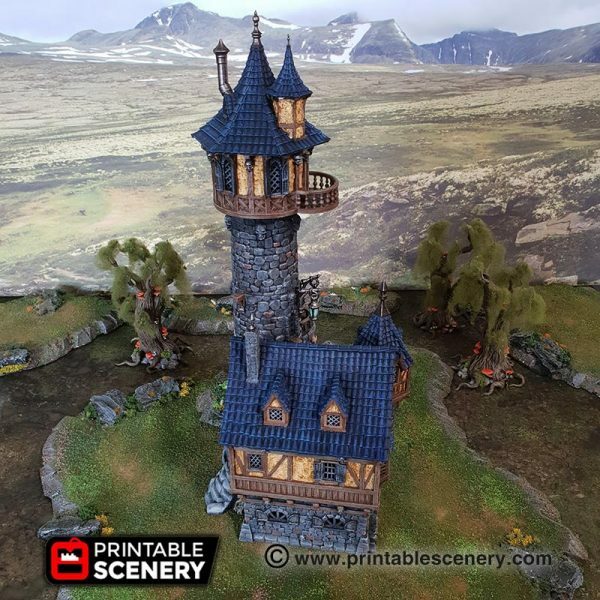 It is a fantasy-styled building that can be used for role-playing or tabletop war games. 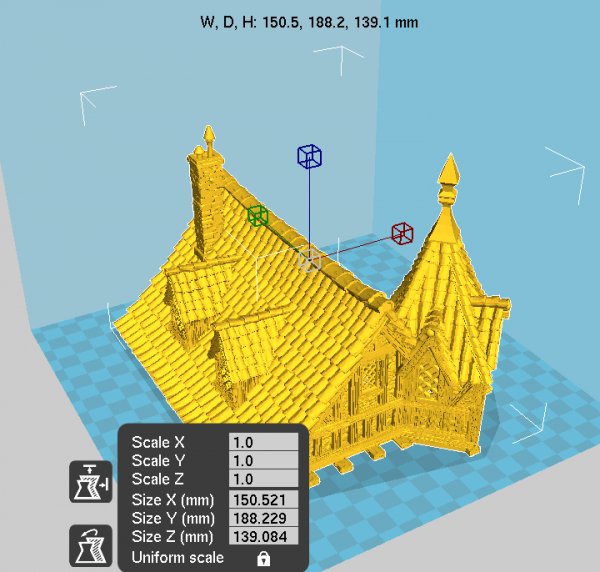 Featuring hinged doors, removable roofs and multiple storeys, it prints without supports as separate levels. 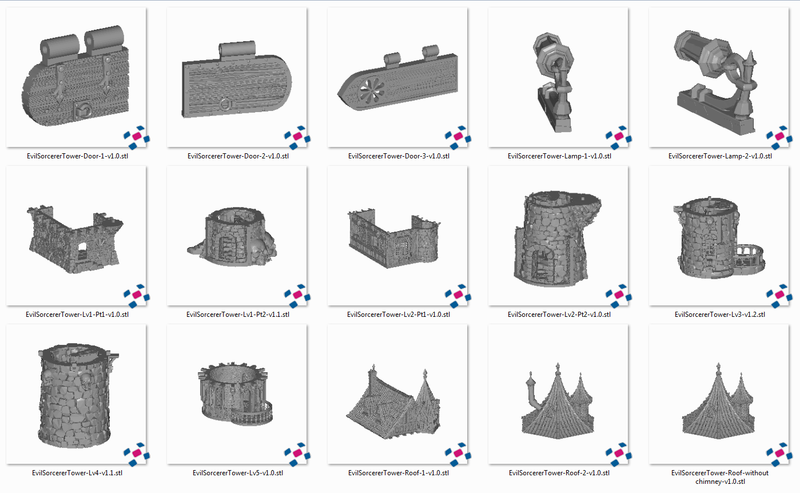 Also included in this pack is a small printer version. 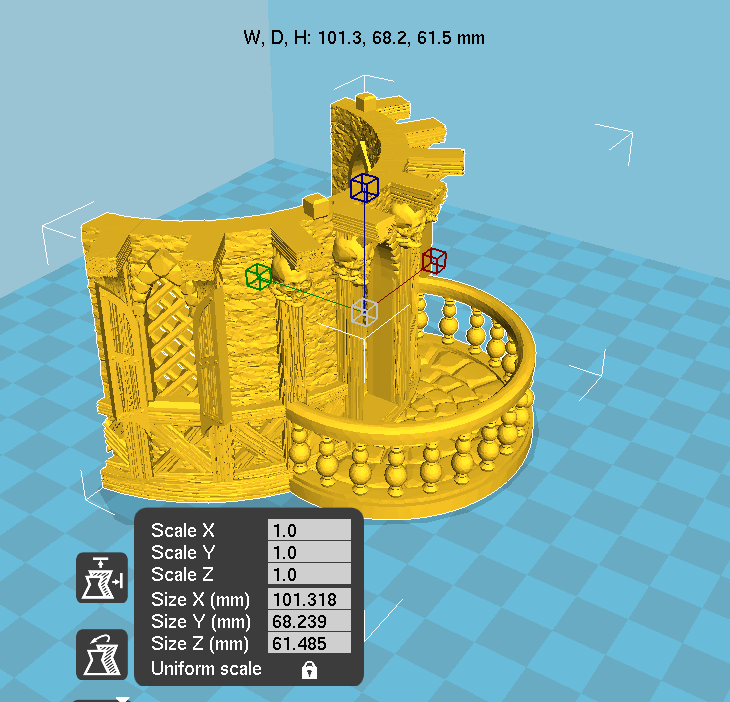 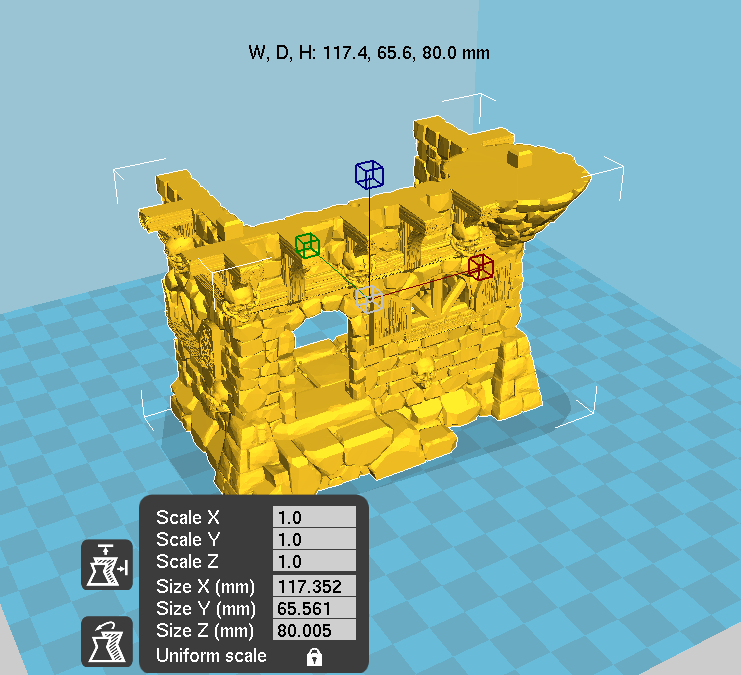 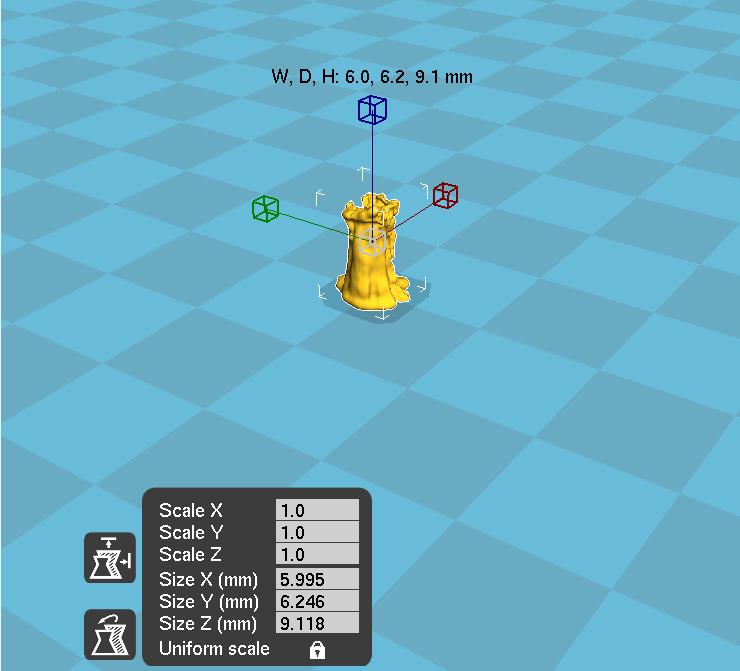 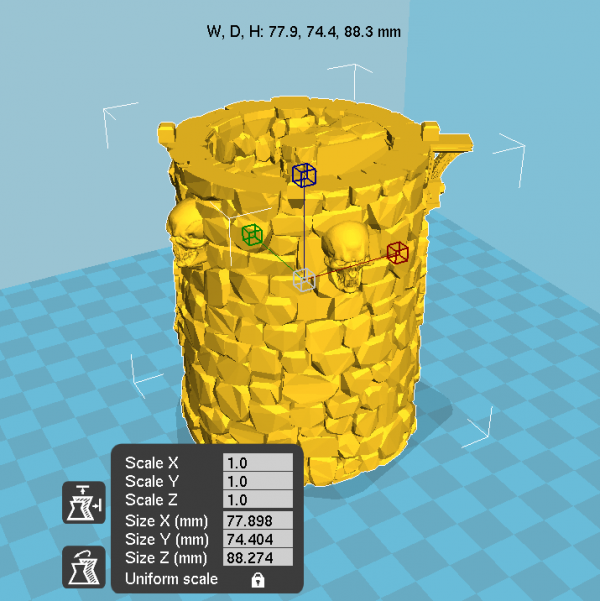 The lamps need to be printed with supports. 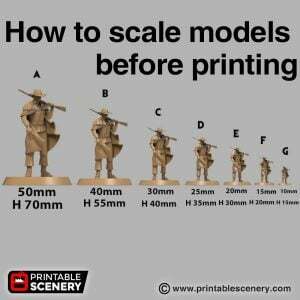 The candles should be printed at 0.1. 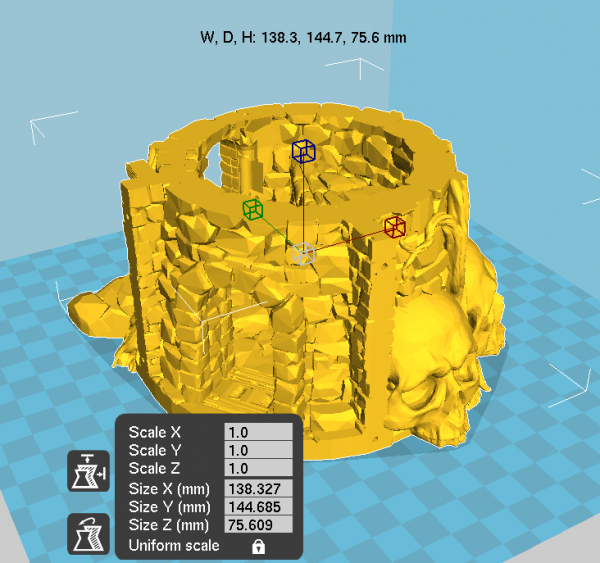 26 February 2019 – 1.1 Level 3 and level 4 have been realigned and base skull adjusted to fit. 1 March 2019 – 1.2 Roof option without chimney added. Adjustments made to stair alignment on Level 3. Odd question but what did you use as flock to make your trees look like willows in this picture? 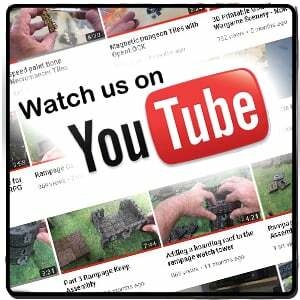 We can do this. 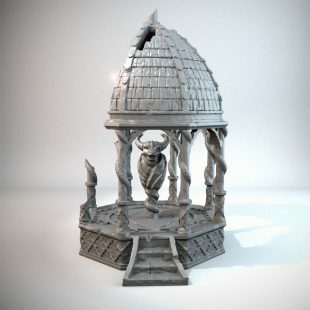 I’ll get it resized so it fits and release it soon.